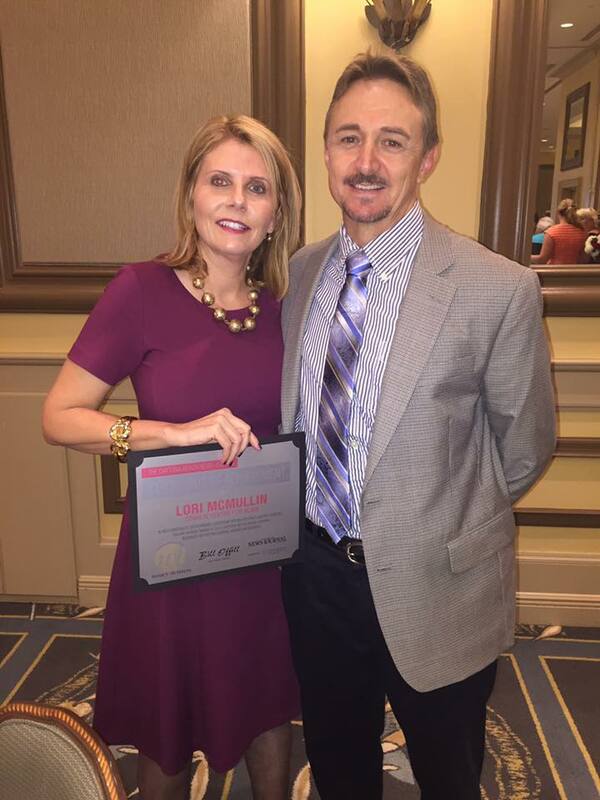 Our Development Director, Lori McMullin, was recently honored as one of the top business women in our community at the 2nd Annual 'Women in Business Banquet'! Lori McMullin has spent most of her 26-year career in nonprofits reinventing herself and the organizations she's represented. In the world of nonprofit work, McMullin says being adaptable is key. “It's very important to have a versatile skill base and take your experience to the next thing or be willing to learn new things,” she said. McMullin began her newly created position of development director at the Florida Lions Conklin Center for the Blind in March, but she has worked at several local nonprofitsduring her career, including the Children's Home Society, Volusia Literacy Council, CareerSource Flagler Volusia and Neighbor to Family. A Volusia County nativeand Seabreeze High School graduate, McMullin said she is excited about working with the Conklin Center staff to expand the organization's brand. McMullin, who is accredited in public relations, has an extensive volunteer background as well, serving in the past as president of Halifax Business and Professional Women's Club,Florida Public Relations Association Volusia/Flagler Chapter, International Association of Business Communicators First Coast Chapter and chair of the American Red Cross board. Currently, she is the chair for the Leadership Daytona Alumni Executive Council. Jim Cameron, senior vice president and government relations staff for theDaytona Regional Chamber of Commerce, said McMullin has been a “monumental force” in the council's restructuring this past year. He said she generates enthusiasm and fosters inclusiveness on the council. “She is great about bringing people together, molding ideas and and then figuring out an overall direction as to what we need to do,” he said. McMullin said nonprofit work isn't for the faint of heart, though. Jim Cameron senior vice president and government relations staff for the Daytona Regional Chamber of Commerce.